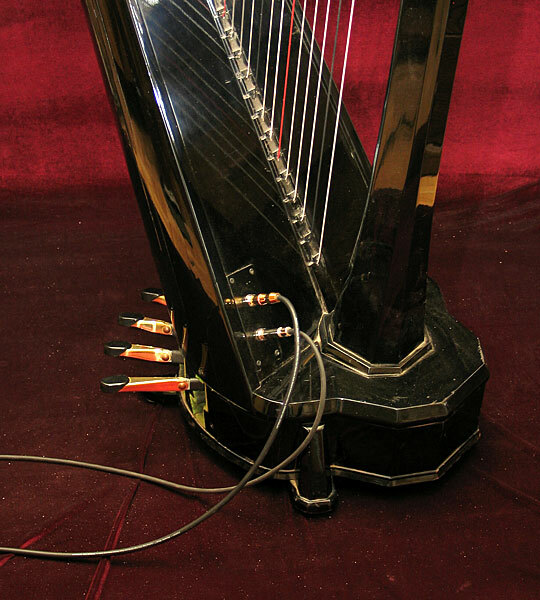 Salvi has been a pioneer in electric harps, one of the first commercial companies to offer an electric pedal harp. 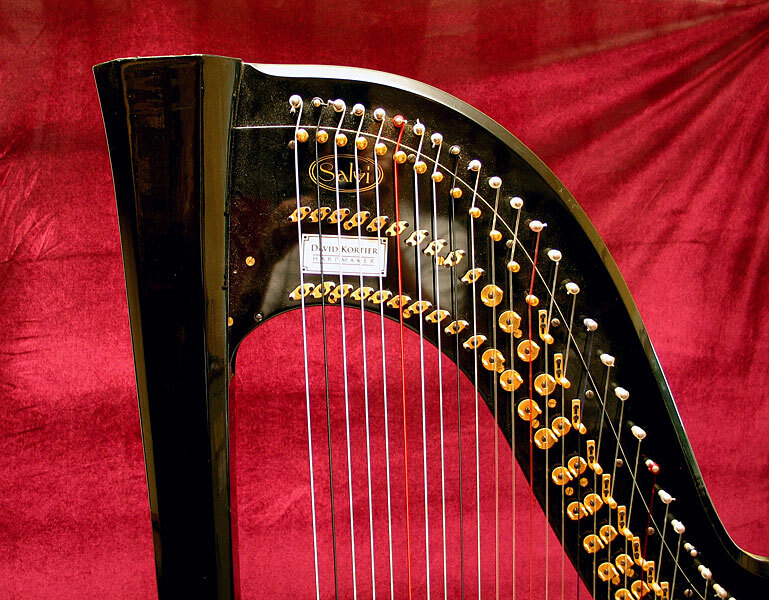 Their early piezo transducers were problematic however, and were embedded deeply in the body of the harp. Consequently, they picked up every sound that the harp made including tuning wrench noise, pedal movements, and harpists' clothing touching the harp body. Excess resonance was a big problem, so the harps were built very heavily, with solid maple soundboards up to 1/2 inch thick. Elaborate preamps and mixers were installed onboard in an attempt to control the uneven output. 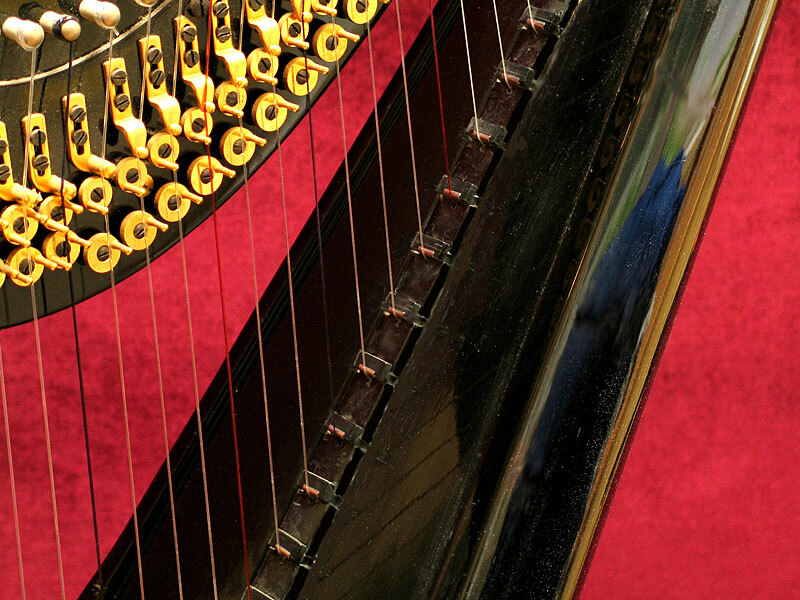 Even so, harpists often stuffed the soundbox full of foam rubber in an attempt to dampen the unwanted sounds. Fortunately, those days are past. We now know that placing pickups against the string itself captures all the harp sound, without capturing the unwanted noises. I have refurbished this harp to modern standards. All the obsolete electronics have been removed, the foam rubber pulled out, and a set of Kortier pickups installed. With the pickups against the strings, the sound is now excellent. The harp itself is in good mechanical condition. I have regulated it and generally serviced it to be trouble free for a long time. I have split the output into two circuits, bass and treble, with two output jacks. Shipping can be arranged, but consider driving to Duluth MN. 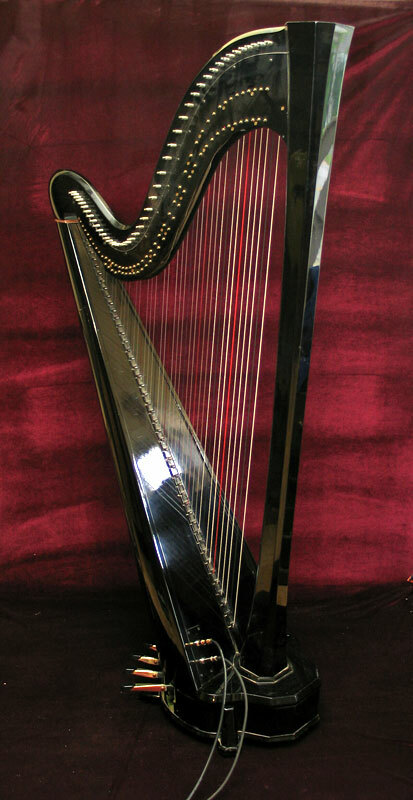 If you like this harp, take it home with you and save the cost of shipment.